JCB has won one of the biggest engine supply deals in the company’s history after securing an annual contract worth about £4.5 million (AU$8.5 million) with Terex GB Ltd.
JCB has won a major order to supply its Ecomax 74HP stage3B/Tier 4 Final engines (pictured) to Coventry firm Terex GB. JCB has been selected to supply engines to Terex GB to power site dumpers made at the firm’s Coventry plant in the United Kingdom. The landmark agreement coincides with JCB’s 10 years of engine manufacturing. 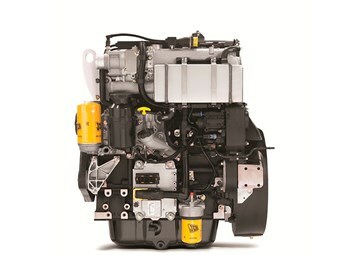 The engines - made by JCB Power Systems in Derbyshire - will be the latest fuel efficient Ecomax 55kW/74HP stage3B/Tier 4 Final models. 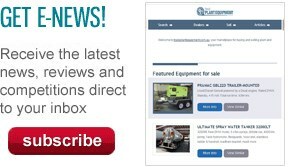 Initially they will power two Terex site dumpers - the TA6 and TA6S. JCB CEO Graeme Macdonald says the contract is a major milestone for the JCB Power Systems business. "It is one of the biggest engine supply deals in the company’s history and is testament to reliability and efficiency advantages that the JCB Ecomax engine offers customers," he says. JCB began producing engines at its plant in Foston, Derbyshire at the end of 2004 and engine production was extended to India in 2011. To date JCB has produced 350,000 engines globally which power more than 70 per cent of JCB’s products.